A lit candle can symbolize so much to so many. When we were gathering inspiration for this project we stumbled across this website, Candles by design, that offers some wonderful information about the symbolism surrounding candles. 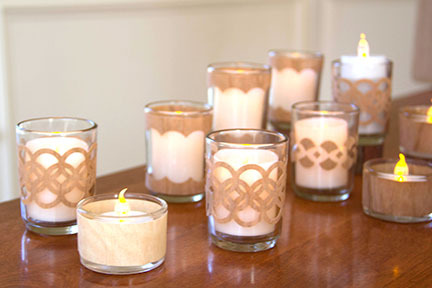 We created this arrangement of votive candles using Real Cherry and Real Birch wood papers and tapes. 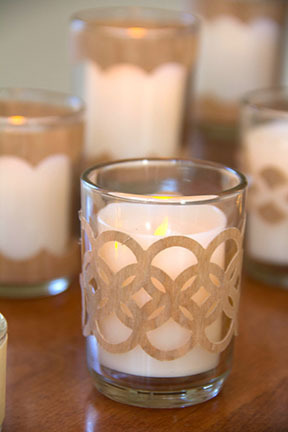 We are using these candles to create a table centerpiece as a visual reminder of love and hope. ‘Tis the season to share the light. Happy Holidays. 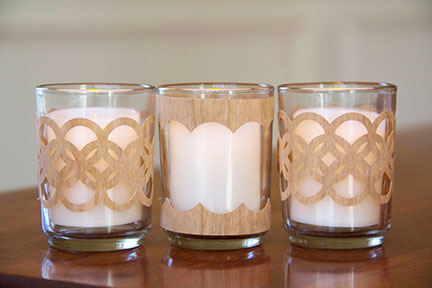 candles or battery operated votive candles. 1. Die cut various borders and designs approximately 2″ x 6″ onto a sheet of Real Wood Paper. Use an electronic cutter, shape scissors or punches. 2. 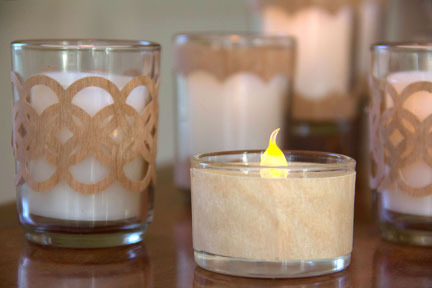 Wrap designs around glass votive candles. 3. Mix it up with Birch or Cherry Wood finishes. 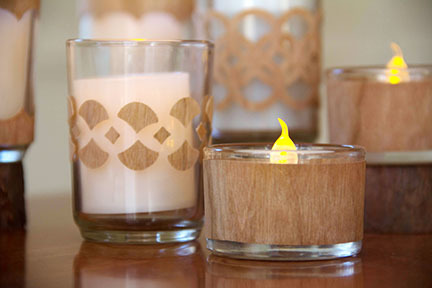 You can also wrap votive candles with our Real Wood tape. This entry was posted in DIY Projects, Home Decor and tagged Candle, Cherry Wood paper, Votive, wood tape.